100% free UNLIMITED web hosting without ads. Free UNLIMITED HOSTING - UNLIMITED DISKSPACE - UNLIMITED BANDWIDTH. Use our automatic script installer to install any Ecommerce script, to start your online business. For paid hosting click here. MSA hosting is completely free! No credit card required, there are no hidden fees. We don't place ads on your website, you can monetize your websites to make some dollars from ads. You will get live support for any problem you face, we will answer all Your questions. We do not like to keep our client waiting, so Your support ticket will be replied within less than 2 hours. We are providing a professional 'branded' control panel for our clients to login and manage their website. We are also providing autoinstall scripts and tools with which you can create a site in a simpler way. Don't worry even if you have good traffic on your website, blog or E-store, we offer Unlimited bandwidth to handle high traffic websites. With our free unlimited hosting you also get Softaculous automatic script installer to install one of over 400 scripts, applications and CMS, like WordPress, Drupal, Joomla, MyBB or PrestaShop, with only a few clicks. 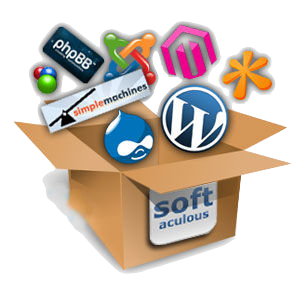 Popular Hosting Apps Including WordPress, Joomla, Drupal, MyBB, PrestaShop, phpBB, etc. MSA Hosting provides its users with free hosting. Our aim is to provide a stunning website to everyone. We offer you unbelievable features like Website Builder, Support, Free Hosting, Emails and many more in order to give a kick start to your own website at no cost. We provide a free service for web hosting. Our service is for everyone. UNLIMITED bandwidth and UNLIMITED space is comprised by each hosting account. You can easily create your website with the help of easy drop down option. You do not need to have a special programming knowledge. User friendly and effective control panel is offered by our service. Forget about waiting lists, MSA Hosting accounts are automatically created in minutes. MSA Hosting is free forever! There is no time limit for free hosting. You can sign up whenever you want and use it for as long as you want! Some people have been hosting their websites with us for years, without ever paying anything! MSA Hosting provides free hosting, because we believe everyone should have the opportunity to build a presence online. Regardless of who you are, where you are and what your budget is, we believe you should be able to have a website. Do I get a free subdomain? You can get a free subdomain like username.msahosting.com for free! Yes, you can easily host your own domain name registered elsewhere on MSA Hosting. Never! We make enough using the ads on our main site and control panel to cover the costs. Is MSA Hosting a demo, trial or sample for premium hosting? Absolutely not! MSA Hosting is fully featured, completely free website hosting. We provide offers for alternative, paid services for people looking for more, but MSA Hosting is not sample for these third party offers. Register now and get an unlimited hosting for free, Just share our hosting so that this offer reaches to every one and help us to keep this hosting free for lifetime.